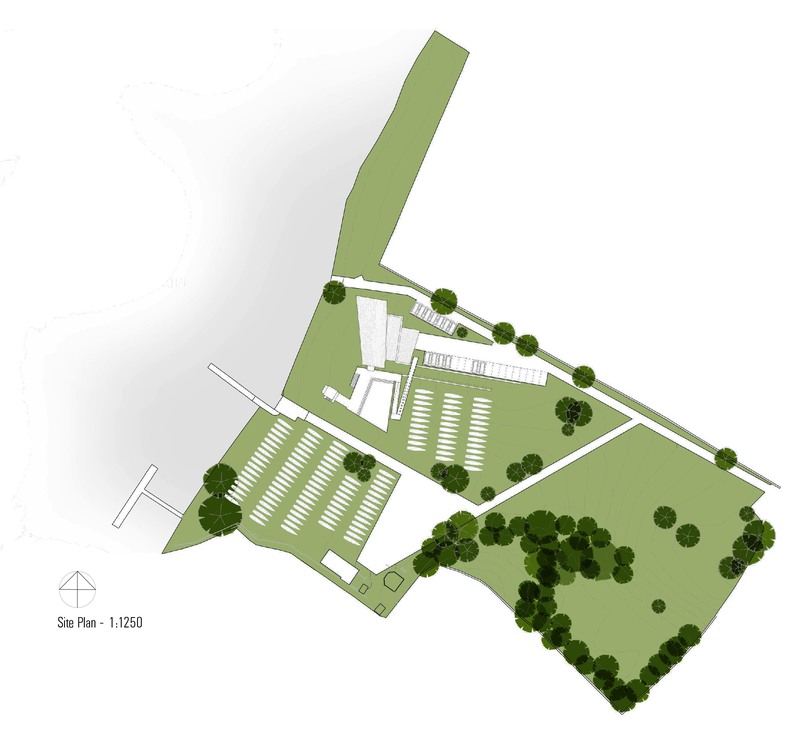 This proposal is for a new Clubhouse Building for Ullswater Yacht Club, located in the heart of the Lake District National Park. 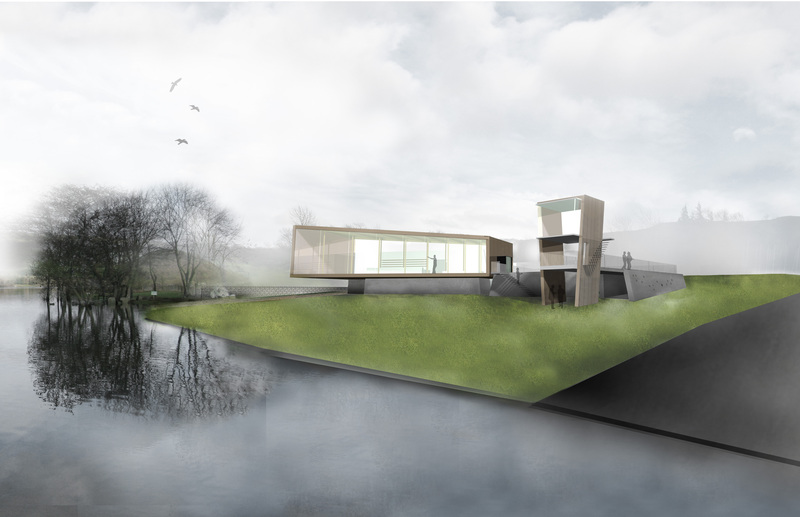 The brief called for a building that should be capable of withstanding flooding, and which would provide increased and improved accommodation. 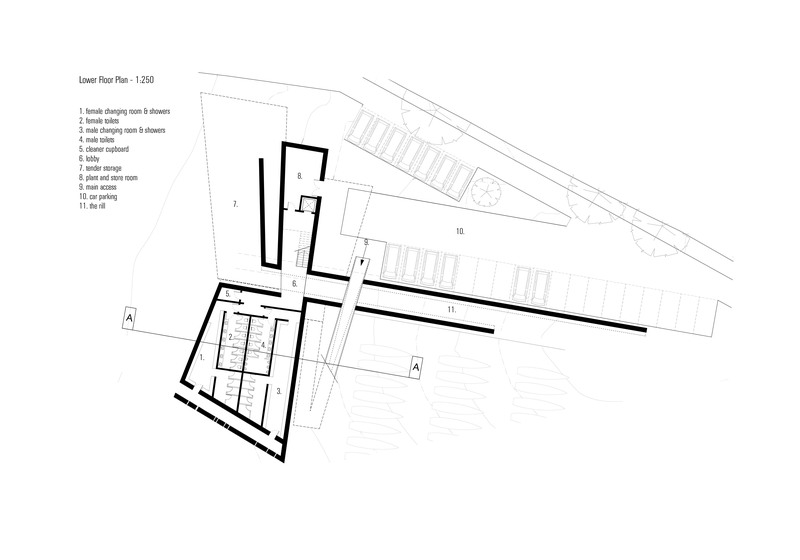 The scheme is a contextual response to the site: a concrete-lined rill which passes through the building embraces the occasional floodwaters and acts as a carrier for the rainwater run-off from the roofs and spectator terraces. The textured shuttered concrete faces of the rill and the walls of the lower level spaces encourage moss to thrive on their wet surfaces, as a living engagement with the elements. In regards to sustainability, the orientation of the roofs has been strategised for solar photo-voltaic panels for electricity production, and solar collectors which support the main hot water heating system. 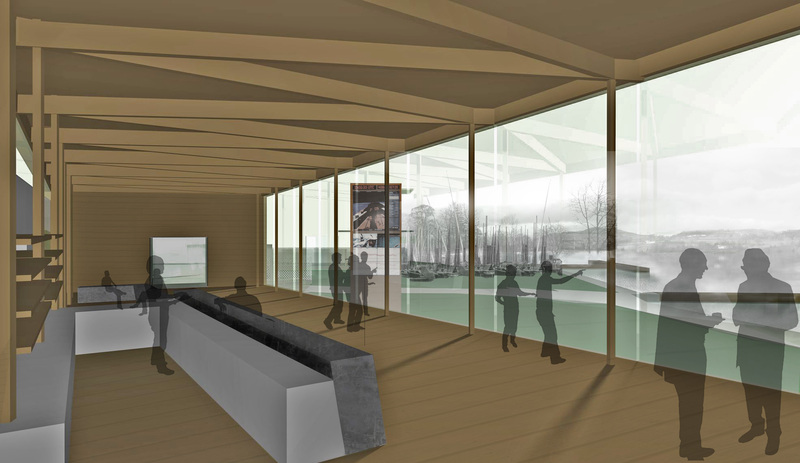 Space-heating & hot water would also be provided via a water-cooled heat pump, where the pipework is routed into the lake via the rill. 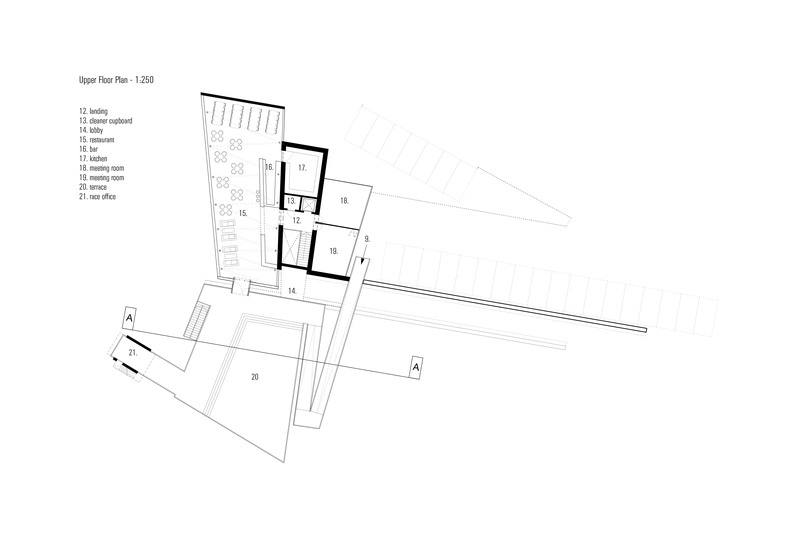 The elegant lightweight intersecting timber structure of the clubhouse is expressed internally. This structure is wrapped in copper which has been pre-oxidised to a rich dark brown colour, contrasting the mossy concrete surfaces of the base. Lake Ullswater is given precedence through panoramic views from the full-height windows of the terrace & clubhouse.